One-man bike shop Paul Miller turned a ’77 TT500 into a beautiful street tracker. He custom made many of the parts, including the beautiful tank and rear brake fluid reservoir. 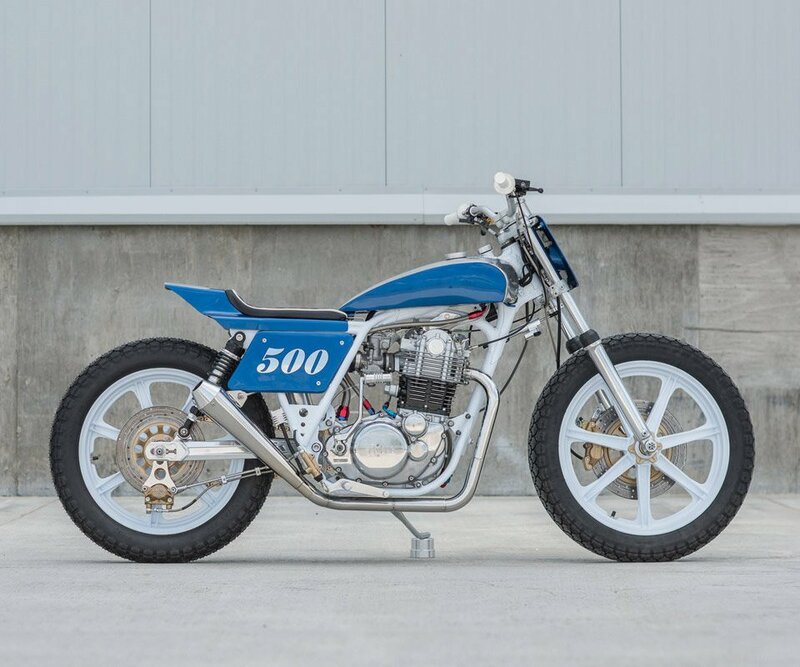 The SR500 wheels should be too big for the bike, but somehow they end up blending in well.